SAP channel partners work in conjunction with SAP to resell its products and services, often with customizations specific to each individual buyer. In addition to the value-added reselling of these tools, many SAP channel partners also offer implementation services. In situations where partners do not offer those services, buyers can utilize the services of companies that specialize in software implementation to assist with installation and training. Businesses can turn to SAP consulting firms for further support. SAP products allow buyers to make informed business decisions. Tools like SAP CRM are used by sales, marketing, and customer service departments to improve relationships with clients. SAP Channel Partners reviews by real, verified users. Find unbiased ratings on user satisfaction, features, and price based on the most reviews available anywhere. 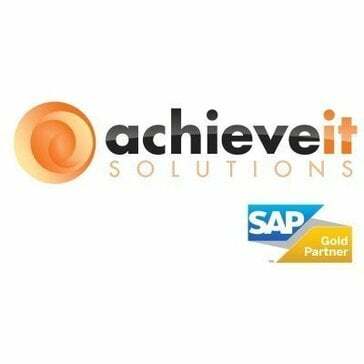 Achieve IT Solutions is a fast growing business technology services company, dedicated to the support of the SAP Business One ERP product line. 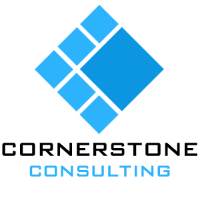 Cornerstone helps product-oriented businesses implement and customize business ERP software that helps them better run and manage every aspect of their business; from sales, e-commerce, CRM, manufacturing, distribution, accounting, barcoding, and much more. Gorilla Group is an award-winning ecommerce solutions provider, combining digital strategy, user experience design, technology, post-launch managed services, and hosting to deliver complete, innovative solutions to enterprise B2B and direct-to-consumer brands across industries. Zantek Information Technology specializes in helping small and midsize companies gain a competitive advantage by being more efficient, gaining a crystal-clear view of their business, and mitigating technology risks. 3Core Systems is a SAP Silver Partner and technology and professional services company with a strong focus on creating value for the customer through continued coherence with trusted partners and nurtured employees' creativity. 3V Solutions is a SAP sales and services partner with extensive experience in a wide variety of industries. 5x Technology offers a complete range of services to develop a business intelligence strategy. We focus on the industries automotive, discrete industries and logistics and provide consulting services in all phases of IT service management - from IT business process alignment through development of applications to implementation and maintenance of SAP standard solutions. Abbasfot provides a wide variety of products that help you to streamline your business operations with sophisticated software tailored to your own needs. Accely is a global technology and innovation company that stands for progress and providing customers flexible, rapidly deployed, end-to-end ERP, Mobility Solutions, Ecommerce, and Business Analytics solutions. Achieve IT Solutions is a leading provider of SAP based business management solutions. Acumen Corporation is a technology consulting company specialized in ERP and inventory management solutions. AdvanceNet is a multi-faceted company offering sophisticated business solutions throughout Africa. Advantco is a global technology firm providing SAP Netweaver integration solutions, consulting services & custom development. Aether Consulting is a technology service provider and consulting firm. Aether Consulting is a SAP Business One partner in Michigan - authorized to sell, install, implement, train and support this software solution. AGNI Consulting Inc., a world-class consulting firm founded in 2000, is focused on providing SAP Business Intelligence solutions. ALLOS assists enterprises in developing integrated e-learning solutions, both as a consulting firm and as an application service provider. AltaFlux Corporation is a global HCM cloud consulting partner based in Troy, Michigan. Altek Solutions is a provider of end-to-end business intelligence and data management solutions for the SAP BusinessObjects platform. At Altra Xcl, our purpose is to excel in creating value to our clients using latest cloud technologies. Ameri100 (OTCQB: AMRH) is a Global SAP Strategy Consulting and Technology Management Solutions Company that brings synergies of classic technology consulting and product-based technology consulting services to its customer base. Applexus Technologiesis a global Innovative Business Solutions & Technology Services company offering industry-leading solutions to retail, fashion, consumer products and other strategic industries. Applied Intelligent Systems is a ERP specific high-level One Stop Consulting Firm. Approyo is a global SAP technology solution provider. We will partner with you to enable and empower your key team members to manage the business processes effectively. Arcadis is the leading global natural and built asset design and consultancy firm, working in partnership with our clients to deliver exceptional and sustainable outcomes through the application of design, consultancy, engineering, project and management services. Archius works with organizations to help them achieve the most value from their SAP and enterprise data. attune helps Fashion and Lifestyle companies transform to the digital, omni-commerce age; by leveraging SAP, Mobile and Web technologies. AuditBot SAP Risk Management Solution helps maintain audit compliance within finance, internal audit and IT organizations. 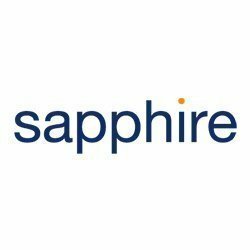 Avenue HR is a SAP Human Capital Management & SuccessFactors consulting firm; and a SAP HCM Cloud Reselling Partner (VAR) for the Mid-Market in North America. Avenue HR is a leading SAP Human Capital Management (HCM) & SuccessFactors consulting firm; and a SAP HCM Cloud Reselling Partner (VAR) for the Mid-Market in North America. BackOffice Associates specializes in information governance and data modernization solutions, focusing on helping customers manage one of their most critical assets - data. Blue Marble Consulting is an authorized value added re-seller and system integrator of SAP applications and solutions. Blue Ocean Systems is your complete resource for personal, professional and experienced business software and implementation services. BPBD, a system integrator for SAP Business ByDesign, offers a smarter way to customize clients software implementations. Bradmark Technologies, Inc., is your go-to, full-service provider for SAP database and technology users, offering SAP database products (ASE, IQ, Replication Server or SAP HANA), database monitoring solutions, and consulting services. Bramasol is the Revenue Recognition leader and a recognized SAP Revenue Recognition services partner for companies seeking to comply with and benefit from the new Rev Rec standards. Over the years BTC has come up with a number of preconfigured products, many of which are SAP-based. Our innovative solutions help businesses like yours meet ever-changing payroll tax regulations and compliance standards while streamlining payroll processes and reducing costs. CACI offer an unrivalled range of marketing solutions and information systems to a wide range of industries across both private and public sectors. Carahsoft is the trusted government IT solutions provider, combining technological expertise with a thorough understanding of the government procurement process to help public sector organizations select and implement a solution a possible value. CATCH Intelligence delivers innovative, end-to-end BI solutions with a focus on scalability, maintainability and overall better business value. CDI Technology creates e-commerce, payment processing, point-of-sale, and supplier collaboration solutions that improve customers' ability to do business. Celeritech is specialized in integrating technological technological solutions, tailored to the needs of our clients, which provides added value, innovation and profitability for their businesses. Hi there! Can I help you find the best SAP Channel Partners solutions?